Keep your home cool in the heat with our state of the art air conditioning installation, maintenance and repair serving the greater Charleston area. Our main office location is in Charleston, SC; however, we provide air conditioner service for all of Charleston and Berkeley Counties. Passion Air's emphasis is on quality work and customer service for all existing and new customers. For those in the Charleston area, we know how important it is to maintain a comfortable living and working environment, making it necessary to hire the right AC contractor. Your AC will perform as stated - or else it's free! No mess! We respect your property. Upfront Pricing- No Hourly Billing Surprises! You'll know the price before the work starts. 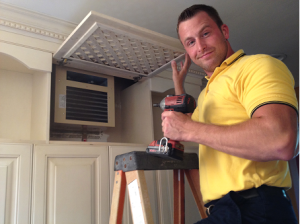 Passion Air is Charleston top-rated air conditioning service and repair company. We can fix, maintain, and replace existing air conditioning systems, or even provide replacement high efficiency ac units if needed. We also offer regular scheduled maintenance by a specialized air conditioning technicians to make sure your air conditioning unit is not only at the peak in efficiency but, also in top shape. Passion’s service technicians can do the following air conditioning services in Charleston & Berkeley Counties: Install an air conditioning systems, high efficiency air conditioner unit installation, installing central air conditioning in Charleston, home air conditioner units installed, troubleshoot & troubleshooting ac problems, retrofit, charge an air conditioner, recharge an air conditioner, or do an air conditioner tune up, efficiency check ups, ac tune ups, air conditioning tune ups, comfort assessments, indoor air quality assessments, and warranty air conditioner repairs.